Since then, the images of his mother grew and swelled the albms that she made. LaChapelle studied Fine Arts at the Art School in North Carolina before moving to New York, where he joined the Art Students League and the School of Visual Arts. Andy Warhol, after seeing his portfolio at Studio 54, where David LaChapelle was working as a waiter, offered him his first job as a photographer for Interview magazine. Already in his early works, his style was in sight when using saturated and vibrant colors as well as developing non-traditional ideas for production in the world of fashion and advertising. His images began to interest the New York circuit of art galleries as well as museums worldwide. In the 1990s, his style was consolidated and was endorsed by such diverse magazines as Rolling Stone, i-D, Vogue, Vanity Fair, and Flaunt, as well as several brand names. In 1995 he was awarded the “Best Photographer of the Year” by the magazine American Photo and French Photo. A year later, he received the “Applied Photography of the Year Award”, awarded by the International Center of Photography, and in 1996, the Callaway editorial published hi first book. 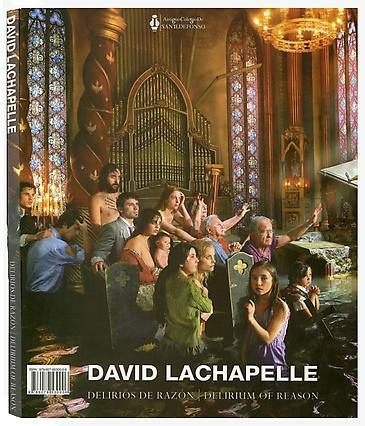 LaChapelle Land, followed by Hotel LaChapelle in 1999, Artists and Prostitutes in 2006, Heaven to Hell, in 2007. Between a book and another, ventured into the field of music and, in 2000, his video for the theme of Moby Natural Blues was chosen “Video of the Year” at the MTV Europe Music Awards. In 2004 fully developed the Elton John’s Red Piano at Caesar’s Palace in Las Vegas. In 2005, he debuted as film director with the film Rize, awarded “Best Documentary” at the Aspen Film Festival.